Go natural for your next promotional event! Made with beeswax, our bulk natural lip moisturizer is made in the USA, FDA approved, PABA and Paraben Free. 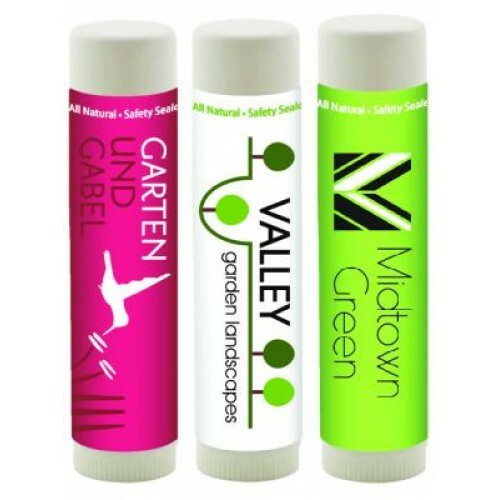 Printed in full color on a clear, metallic or white decal, this all natural custom beeswax lip balm is an excellent item for tradeshow giveaways, hotels, spas, salons and outdoor events. Available in 23 delicious flavors and unflavored, each lip balm is semi-translucent in color. Item Size: 2.125” h x 0.625” Dia.